September is National Preparedness Month, and this year more than ever, it’s important to make sure you’re ready in case of an emergency. With catastrophic damage from hurricanes hitting the southern U.S., and massive wildfires closer to home, we see reminders every day that emergencies can strike at any time. And sudden events, such as a Cascadia Subduction Zone earthquake or even a severe winter storm, can affect resources we all rely on, including electricity, roads, cell phones, and other basic services. Build an emergency kit at home, including water, food, and medical supplies – enough for each person for 72 hours (don’t forget pets!). You may not have power after an emergency. Purchase a radio and a flashlight or lantern that can be re-charged by hand or by solar power instead of batteries. 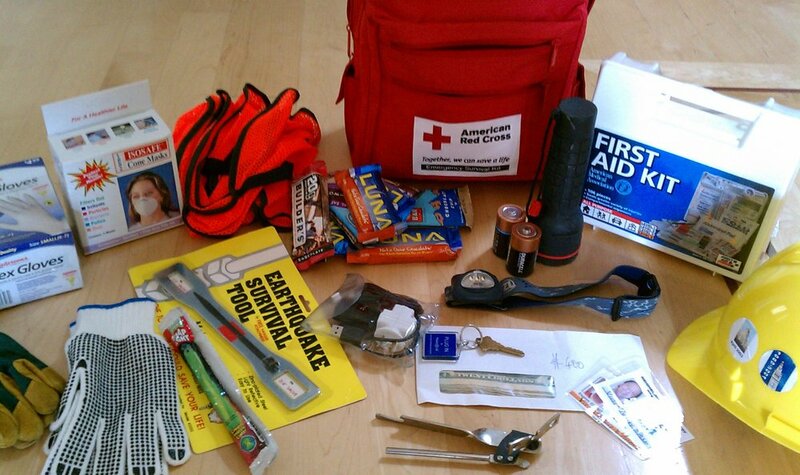 You can also stock your emergency kit with hand- or solar-powered cell phone chargers. Make an Emergency Communication Plan with your family in case you are not together with disaster strikes. Have emergency supplies in your car in case you’re on the road. Find out how your workplace is preparing, and know what to do if you’re on the job when an emergency strikes. Visit ready.gov to learn more about emergency preparedness, how to build emergency kits, help your community respond, and more. Research how to turn off your home’s utilities if there’s a risk of a gas leak or electrical fire. Follow your utility’s recommendations to access shut-offs safely. Download the Federal Emergency Management Agency’s app to get alerts, safety tips, and more. At the Oregon Department of Energy, we take emergency preparedness seriously. We’re a responding agency in the event of an emergency in our state, with responsibilities for ensuring the safe and timely delivery of fuel if our infrastructure is damaged or inaccessible. Our team is finalizing a Fuel Action Plan this fall to respond to severe or long-term petroleum shortages or disruptions. We were able to put some of our planning into action last month during the total solar eclipse. To prepare for an influx of visitors to Oregon, our emergency planners connected with the fuel industry to ensure Oregonians – and our visitors – could stay safely moving on our roads.